Montana Granit Effect Spray is a water-based special effect spray paint with fine plastic particles for a deceivingly realistic granite effect. Applicable on many different surfaces such as paper, cardboard, primed canvas, wood, glass, metal, ceramics, porcelain, stone, polystyrene and other paintable acrylic materials. The Montana GRANIT Effect is very high covering. 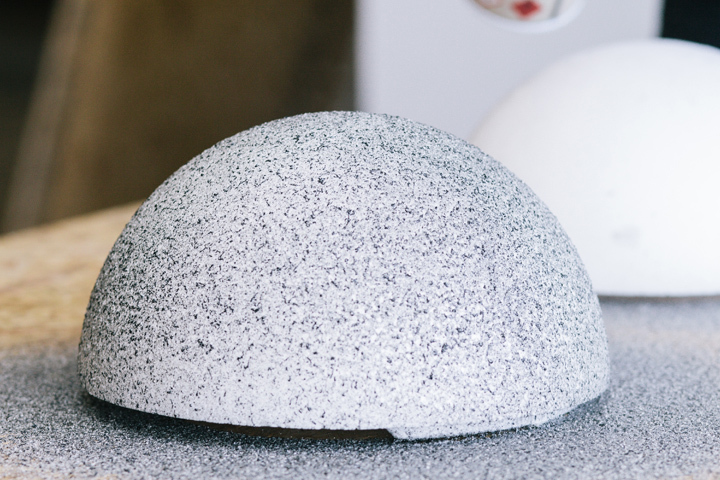 For best results it is advisable to prime your surface when using light colored GRANIT Effect shades, particularly when painting on dark surfaces. We recommend using the Montana PRIMER or the Montana TEXTURE spray. The latter will enhance the GRANIT look even more. Can be top-coated once thoroughly dry. Can be combined with Montana GOLD, Montana ACRYLIC markers and standard acrylic paints. The GRANIT Effect spray also works well as a structure spray. Lightly coat dry areas to receive the desired granite-look. Available in the following colors: light grey, grey, brown and black.